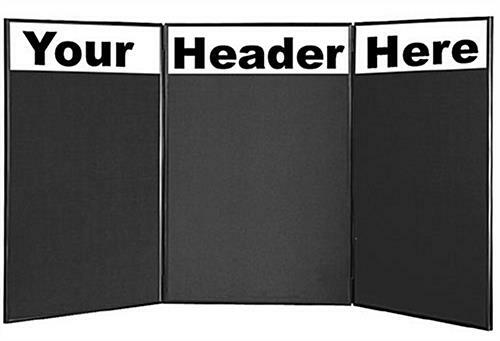 These black custom text hook and loop boards feature a 3-panel folding design that makes them highly portable. 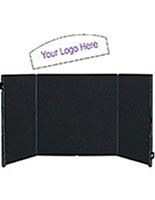 Each popup display comes features a header that comes with personalized messaging in one or two colors. 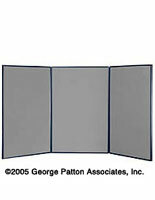 Another feature of the custom text hook and loop boards is their double sided design; each unit features a gray fabric back. 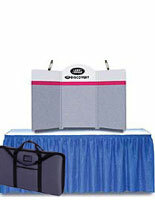 The portable fixtures make travel hassle free with their included carrying bag. 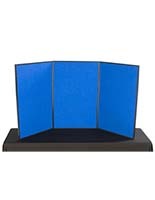 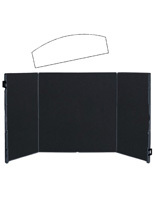 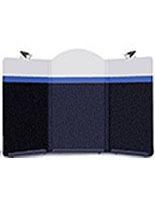 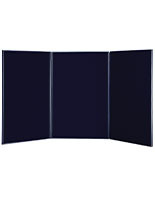 The 3-panel hook and loop boards have a display area of 72" x 36" that's great for promotional messaging and graphics. 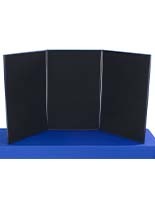 This type of popup display is vinyl printed and a choice of 9 colors is available.